I’ve spent the last twenty minutes searching my list of potential blog ideas and can’t find one that strikes my fancy. Though I’ve scheduled a mid-year goal check for July’s blog, it looks like I’m going to visit my current plans this month. Buckle up! It’s going to be a roller coaster! I’m coming up on the deadline for my current work in progress, Ginnungagap, and I’m not sure I’ll actually have it completed by May 31st. With less than fourteen days in the month and thirteen scenes remaining to be written, I’m relatively certain I’ll probably finish it in the first week of June, maybe even the second. That ain’t bad! Unlike Darkstone, when I sit down to write on Ginnungagap my fingers are flying. There has been no substantial writer’s block with this baby! Yay, me! Ginnungagap is the sequel to Freya’s Tears. 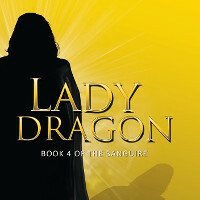 The book picks up six months after the events in Freya’s Tears with the crew enjoying a golden age of plenty following a series of lucrative jobs. They’ve hired a new gunner and a computer systems technician and are slowly establishing themselves as dependable freight haulers in an area of space far from the CG Hamilton Corporation’s sphere of influence. On a more personal front, Captain Els Ulfarsdottir and Kasli Holt are easing their way into an intimate relationship. After Bennie Takahashi’s betrayal, Els is skittish, but Kasli has allowed her the reins in their burgeoning relationship. She’s quite willing to allow Els the time she needs to heal from her former lover’s backstabbing and mutiny. Despite the good fortune in both career and love, something inside Els is still holding its breath. You know nothing good lasts forever, right? Next up on the horizon (as far as writing novels goes) is an historical romance. I’m going to write about the Klondike Gold Rush in 1898 and a mail-order bride. At this point I’ve only been doing research, reading websites and lots of books from the public library. I had an outline years ago but can’t seem to locate it anywhere. Ah, well. Starting from scratch in that regard probably won’t be a burden. At least I have a good idea which way the story will go. Clara, a young woman from a well-to-do family back east, hears about the excitement in the Yukon and decides she wants to go as well. It’s been several years since the Civil War, and women outnumber men by quite a bit. The chances of her finding a decent husband aren’t much good in her neighborhood. 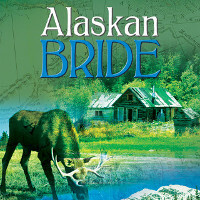 She discovers an advertisement in the paper and makes inquiries, eventually receiving a letter written by a man in Alaska searching for a wife. Enamored, she writes back and makes her travel plans. Upon her arrival, she’s left alone in Skagway, her potential husband apparently deserting her to the rough and tumble streets. Determined, she searches for him, having only the letter and his name. 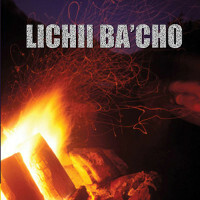 A disreputable looking fellow knows her future husband and offers to guide her to his cabin for a price. When she reaches her destination she discovers her husband-to-be is dead, leaving all his worldy belongings to his masculine sister, a sister who doesn’t want a frilly, high-society young woman in her cabin. So there’s the idea. I know what trials and tribulations the two will wade through and I have the characters in mind. I’m still searching for a first names of the brother and sister though. 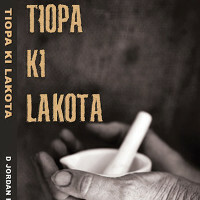 I’ve scheduled myself to begin writing this book on July 1st. 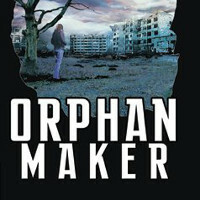 I’ve been toying around with an idea for years to provide fresh free fiction to you. I think I’ve finally hit upon something. As usual with me, the idea comes from a role-playing game platform that’s been created for the online community. Anodyne Productions has built a programming platform for gamers who are more into the characters and stories they can tell than the roll of the dice. This program, Nova, has been predominantly used in the Star Trek RPG world, though there have been some spin-offs here and there. In the past I’ve played Star Trek games on this platform as well as developed a non-Trek space game. (Both are defunct, by the way. That’s the way with these types of games–they come and go with such regularity because people have real lives.) So I have experience with designing a layout and presenting the material. Anyway I’ve been thinking about writing a series fictional piece using the Nova platform to publish it for you, the reader. Links would be available on my primary site, and the stories themselves would be housed on a subdomain with the Nova program. Novel-length stories would be added probably once every couple of years. 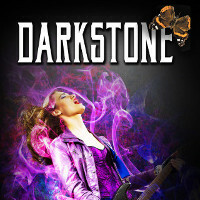 (I do need to keep up on the other novels I’m writing for Bella Books, ya know!) This will give me the freedom to play–something I desparately need–and still be productive in my writing career. I really want to make this a Freya’s Tears series. The jury’s still out on that one though. What do you guys think? Regardless of what the series focus is, does it sound like a good project? * and marching in the Pride parade on that Sunday with Marriott! WOOT! It’s a good thing I don’t plan on starting that next book until July, huh? I will not be attending the GCLS conference in New Orleans this year. I’m sorry to disappoint, but I just can’t afford it. I’m not negating DC in 2016 just yet, but don’t count on that one either. Travel fare is outrageous these days and it ain’t getting better! Gimme, gimme, gimme! Let’s have some feedback! Click below and tell me what you think about this post, the website or anything else on your mind. I love hearing from you guys! I will be looking forward to Skagwag Bride ! Sounds interesting and challenging to research! You do stay busy! I’ve always been one to stay busy! It’s rare that I just sit and veg out. When I do nothing I tend to brood and fall into depression. Once I figured that little personal foible out I began finding projects to keep me occupied! I very much enjoy reading what you’re up to! 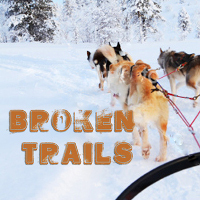 Been wanting to tell you how I loved Broken Trails! Real life got a bit hectic here so I’m telling you now a bit later than planned :)) I am a big fan of historical romance so can’t wait for Skagwag Bride. 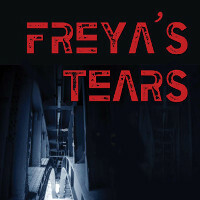 Next on my reading list: Freya’s Tears! Have to read that before the sequel comes out! Love the idea of the website! Thank you, Linda! I can certainly relate to the hectic atmosphere of life, especially with the summer kicking off. As for the website series, it’s a definite go, and it’s a definite Freya’s Tears site! Yay! In my off hours I’m programming the look and feel of the site and preparing it for visitors. Expect to see something in the future!